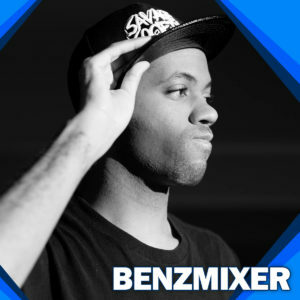 Benjamin Smalls, a Florida native as known as Benzmixer. He has been producing since 2009. Started producing dubstep in early 2010. He has always striven to bring something new to the table. Currently living in Orlando Florida, Benz teamed up with Bryzergold (Popular DJ In Orlando) & (PBRG) to bring a power packed old-school revolution to FL & hopefully the rest of the states. Joined Savage Society in early 2013, and later signed to (ArcaneTalent, Legends, Lowr Levls), this 25-year-old gets his inspiration from men like, Subfiltronik, Dot Rotten, Akira, Hizzleguy, and Swifta Beater. He harnesses his creative skills to conjure a prominent assault of melodic riddems that rattle your chest with sub-bass. Active support from the likes of, 12 Planet, Subfiltronik, Shiverz, Da Force & many more, benz is one cutting-edge artist you will want to look out for.